Tug O War is a great team sport, not only to participate in but also for spectators. Each team consists of eight members and a coach whose job it is to encourage the team to pull and read the movements of the other team. At the Aberdeen Highland Games the Tug O War competition is open to any team who wishes to enter. All you need to do is fill in the entry form and submit it prior to the day. 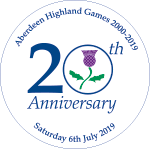 Please check back closer to the 2019 Aberdeen Highland Games to apply to participate in the Tug O War. Please join our Facebook or Twitter pages to be the first to know what is happening at the 2019 Games.